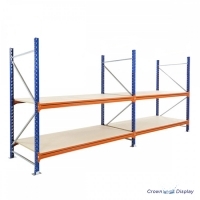 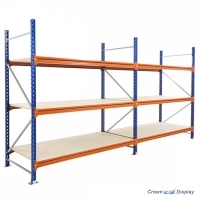 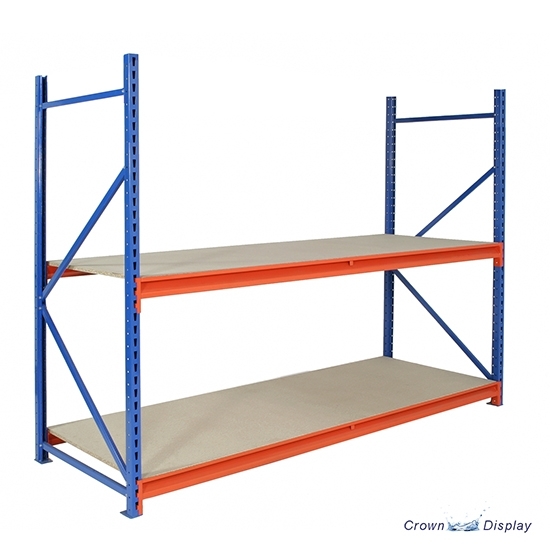 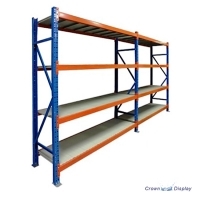 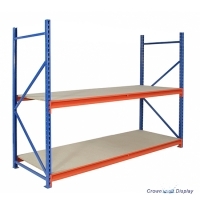 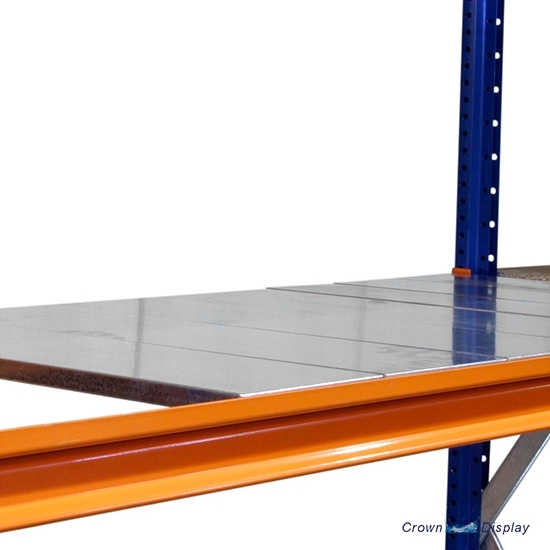 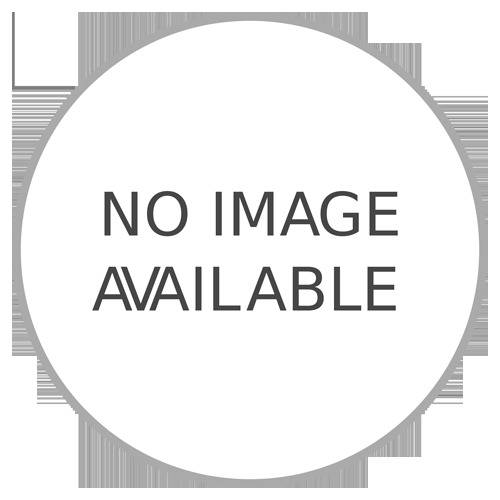 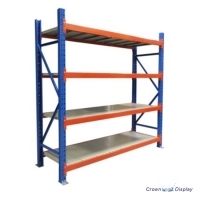 Quickspan single shelving bay (two levels) is constructed using 2 frames, and two beams per shelf. 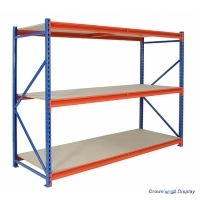 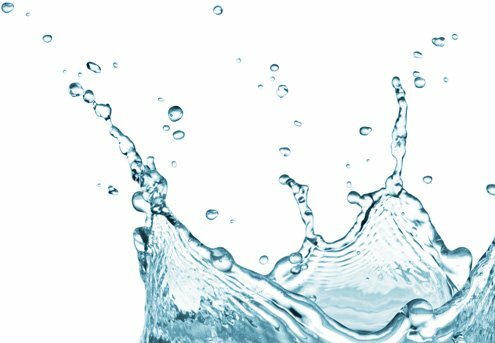 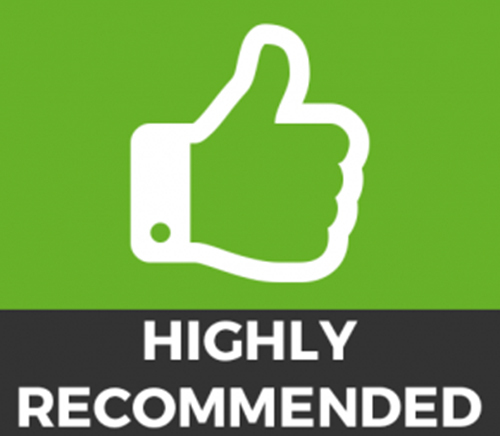 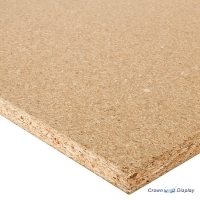 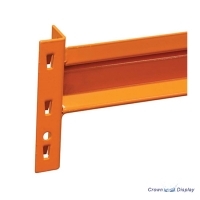 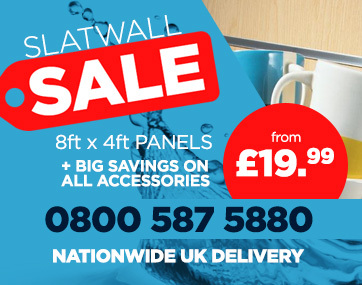 Shelves are supplied in either strong 18mm thick chipboard or galvanised steel. Beams are attached to the frames using locking pins and can be positioned at any height on the frame. 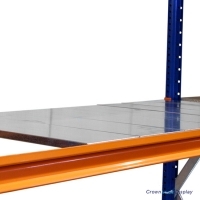 This shelving bay is supplied with floor fixings, levelling shims and beam locking pins.